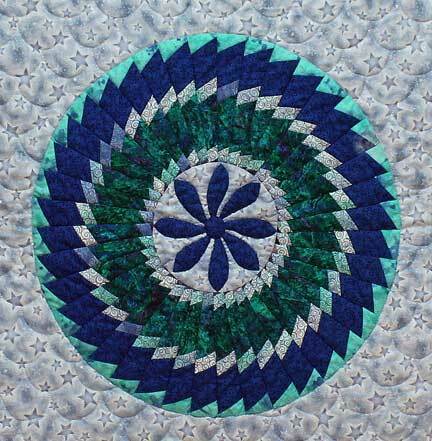 During the holiday I signed up for a Craftsy class with Leah Day as I really enjoy machine quilting and I am always ready to learn more. Many of the fillers Leah teaches are very different to the type of fillers I have normally used on my quilts over the years. I have started work on my sample, but couldn’t resist adding some of the fillers I have come to love. I am using Silk Finish thread through the needle which is a Superior titanium 70/10 topstitch needle with bottom line in the bobbin. I work on the much maligned Bernina 820 which I have now grown to love. I must admit I thought I had made a big mistake when I first got the machine 5 years ago and could quite easily have thrown it out the window! Good job it is a heavy machine. It has been a matter of coming to terms with a different way of operating a sewing machine. I now love using a wide variety of various threads on this machine and look forward to the challenge of using different threads on it. 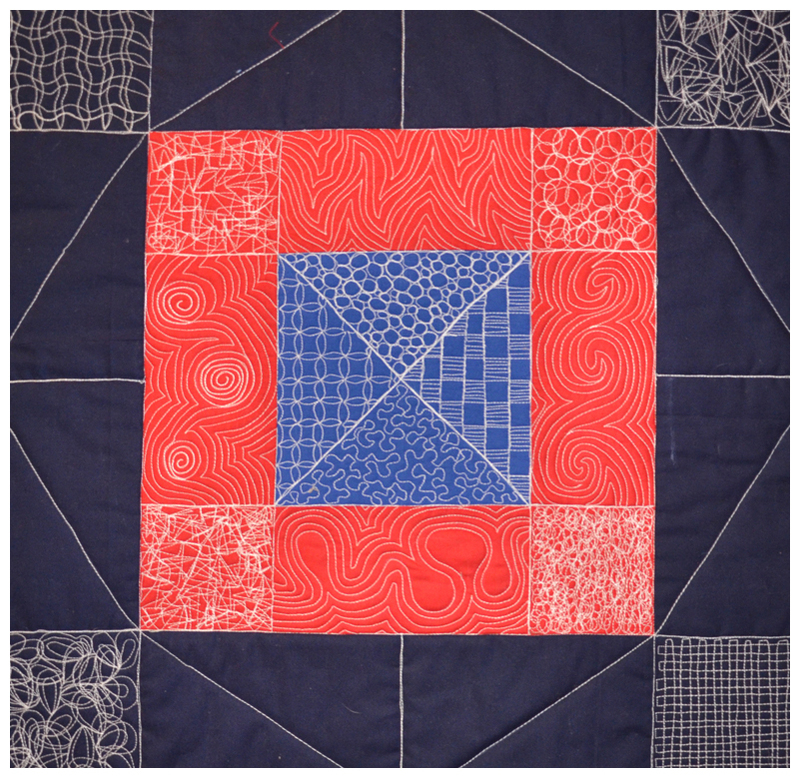 I am amazed at some of the machine’s capabilities for quilts with using fancy stitches instead of straight stitch only and will show some of the possibilities in a later post.